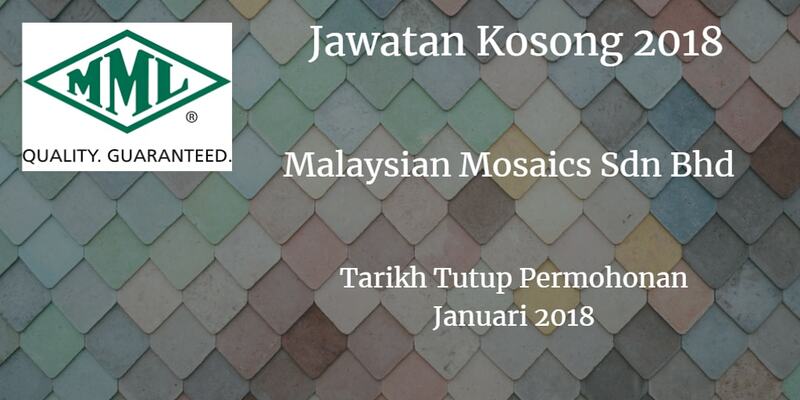 Jawatan Kosong Malaysian Mosaics Sdn Bhd (MMSB) Johor Bahru, 2018. Syarikat Malaysian Mosaics Sdn Bhd (MMSB) membuka peluang pekerjaan Malaysian Mosaics Sdn Bhd (MMSB), terkini 2018 ,ini. Routine planning and maintenance scheduling. Diploma or Degree in any discipline. At least 3 years relevant working experience. Management accounting, budgeting and internal control. Inventory management and cyclical stock take. Annual statutory and tax audits. Degree in Accounting or ACCA/CPA/CIMA. 5 years relevant working experience in manufacturing environment. ERP/Movex/M3 systems will be an added advantage. 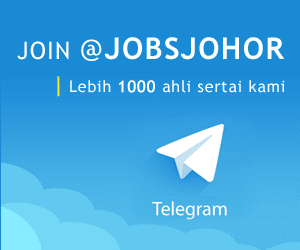 We may retain all information and resumes received for future job opportunities Mthin Malaysian Mosaics Sdn Bhd, its related corporations (as defined in the Companies Act 2016) and its related party/parties (as defined in the Main Market Listing Requirements of Bursa Malaysia Securities Berhad).